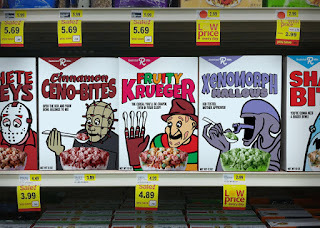 You've enjoyed a bowl or two of Franken Berries or Count Chocula in your day, right? What if things didn't stop with the friendly cartoon ghouls and monsters and things started getting a little darker. 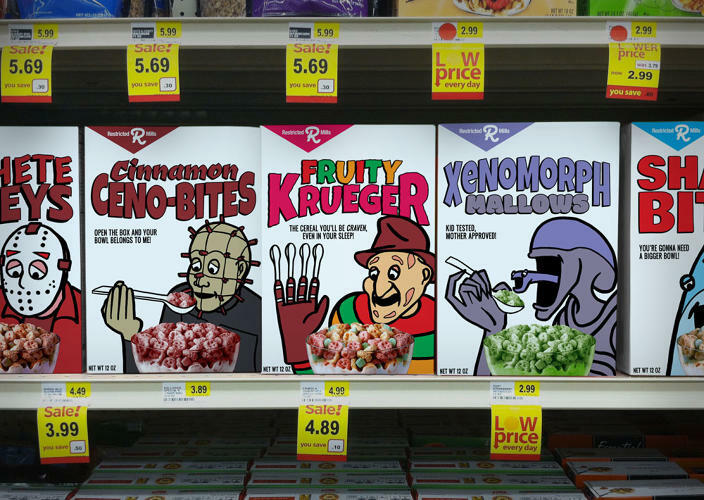 If you want to see some interesting breakfast concepts that are sure to shine a new light on what are probably some disturbing childhood memories, go check out more of Kate Willaert's work.